National Seminar on Politics, Democracy and Governance (5th edition) and Sansad Ratna Awards (7th edition) were held at IIT Madras on 11th June 2016. Six MPs were honoured with Sansad Ratna Awards by Prime Point Foundation and eMagazine PreSense. Dr C Rangarajan (Former Governor of Andhra Pradesh and Reserve Bank of India) presented the Awards and delivered his speech. Dr Bhaskar Ramamurthy, Director of IIT delivered Key Note address. click here for their speeches. 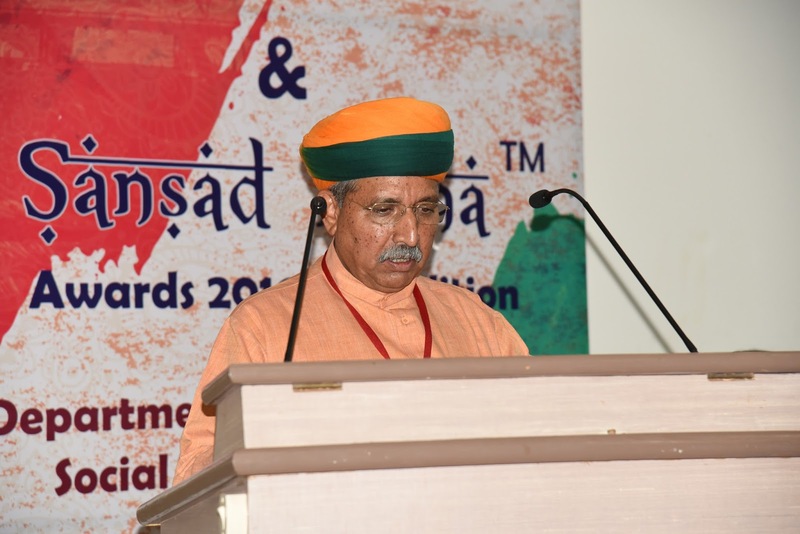 Arjun Ram Meghwal (Chief Whip of BJP in Lok Sabha), Sansad Maha Ratna Awardee of 15th Lok Sabha and Selection Committee Member delivered his speech. Dr Sudarshan Padmanabhan, Associate Professor of IIT Madras proposed vote of thanks.